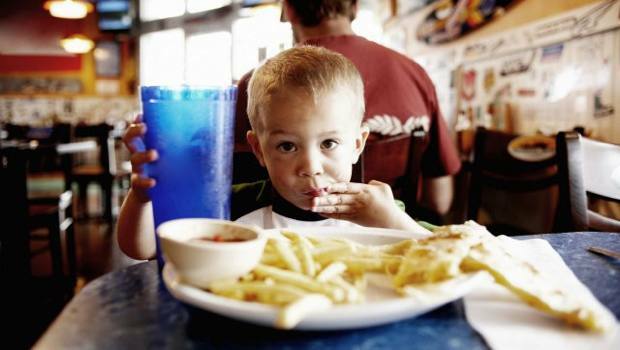 Many of the eating habits we have in adulthood, both good and bad, are established when we are children. As parents it is therefore important to give your child the best possible education when it comes to healthy eating in the short period when you have an influence over your child’s eating habits. Although it is impossible to control what your child eats all the time, teaching them about the benefits of healthy food will help them to make better choices when you are not around and later in life. From the time that a child starts consuming solid food it is important to make sure they are introduced to healthy options. Small children may enjoy custards and sweetened purees, but it is also important to make sure they are exposed to a wide variety of vegetables, fruit and protein sources to allow their tastes to develop. It is also important for children to be able to distinguish between flavors, so rather than making or buying mixed purees and soft foods, try to give the child one food at a time. Making separate dishes for children is the best way to encourage fussy eating. Although you may need to modify the texture of the family meal for very young children and perhaps alter the amount of spice or salt, in general the child should eat the same meal as the rest of the family as soon as possible. If they know that by refusing the meal offered they are guaranteed to get something they like, they are unlikely to try new flavors and foods, which can be a habit that can last a life time. Remember a healthy child will not starve, if they are hungry enough they will eventually eat what is in front of them. If you want your kids to eat healthily, you need to be a good food role model for them. Parents are the main influence when it comes to food for very young children, who will inevitably want to eat what their parents are eating. If junk food is not available, it cannot be eaten, so the best way to make sure your child eats healthy food is to make sure that the options available to them at home are healthy choices and that junk food is seen as a ‘sometimes’ food. Obviously it is best if the whole family is avoiding junk, but if the more adult members of the family do choose to consume it, try to encourage it to be done when smaller, easily influenced members of the family are not around. Teaching kids to cook healthy food and growing fruit and vegetables gives them an added appreciation of where the food we eat comes from. They are also learning important life skills and are more likely to eat healthy food and meals if they have prepared or grown it themselves. If you have a child that tends to gain weight and another that can eat anything without putting on an ounce, it can be tempting to have different standards when feeding the different children. However, this can make a child feel victimized or self-conscious when they are not allowed to eat what their brothers or sisters eat. It is important for all children to eat healthy food, no matter their size, level of activity or metabolic rate, so all children in the house should be given the same. To make sure that the children who need more energy get it, offer healthy snacks or larger portions of meals to that child. See also: Why do I always feel hungry? Many children turn down foods the first time they are offered, so don’t give up if they refuse to eat it. It is recommended that children be offered new foods up to 20 times before admitting defeat. Using food to reward good behavior or even to encourage kids to eat less desirable parts of a meal can set them up to use food as a reward in later life when it can become a real problem. Try to reward good behavior with a non-food based reward, such as a sticker, trip to the park or a small toy instead of candy or junk food. Children can be very sensitive to comments about their weight from an early age. They are already growing up in a society that puts a lot of importance on physical appearance and the suggestion that they need to lose weight or eat less by a parent can lead to low self-esteem, disordered eating and an unhealthy attitude to food in later life. If you feel your child is overweight, encourage them to eat more healthily and introduce more physical activity into their days and remember that many children go through a chubby stage, which they will more often than not grow out of in time. Completely banning all unhealthy food from your child’s life can lead to rebellion and may even encourage them to eat unhealthy food whenever you are not around. By allowing a few ‘treat’ foods on special occasions they will not feel like they are missing out so much and are less likely to rebel against you. Making your own homemade versions of treat foods also allows children to appreciate just what goes into these types of foods and why they are considered ‘sometimes’ foods, and also gives the opportunity to create healthier versions of popular foods such as French fries, cookies and granola bars.